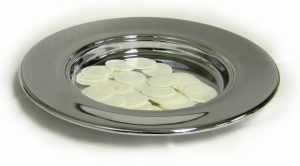 We would love to see more Parishes offering admission to communion before a child or adult is confirmed. There are many exciting ways to do this, so please feel free to ring us to discuss how it could work for you. The Booklets about Admission to Communion are available from the Children’s Work Department at Clayton House, you can download a copy here but please do give us a ring to talk through your questions. This is the Application Form to be completed by all parishes considering Admission to Communion before Confirmation. If you would like one you can edit on your computer then please click here. A Parish Statement regarding Admission to Communion which can be displayed somewhere people can see. Form of Consent for parents to complete in order for their child to receive communion. Certificate of Admission to Communion before Confirmation to be given to those admitted.